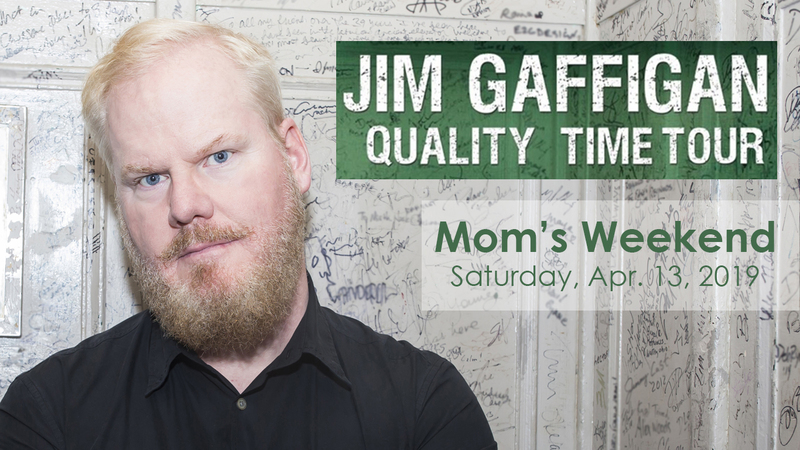 Join Jim Gaffigan on his new “Quality Time” Tour for WSU Moms Weekend at Beasley Coliseum! Tickets will go on sale on Friday, February 22 at 10 am at all TicketsWest outlets including 800-325-SEAT and online at www.ticketswest.com. Ticket prices will be $59.50 & $54.50 (WSU staff, faculty and students).